How can I set my children ages policy? HOME > SETUP AREA > How can I set my children ages policy? STEP 1: First you need to go to SETUP > ADMINISTRATION > POLICIES. 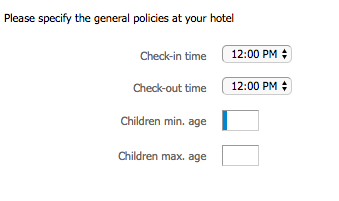 STEP 2: Click on EDIT so you can enter your children age policies. STEP 4: Publish your changes, under the WEBSITE tab, by clicking on PUBLISH CHANGES, so that all this information becomes available at your website. The children minimum age cannot be 0. It has to at leas 1. 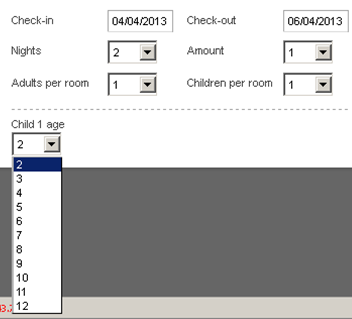 The new children ages set will now become available for selection on the booking engine drop down list - CHILD AGE, after selecting CHILDREN PER ROOM.